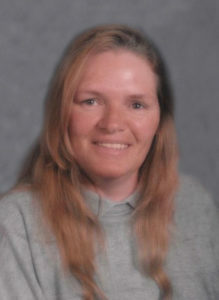 Saturday, April 6, 2019 ~ 10:00 a.m.
Friday, April 5, 2019 ~ 5:00 – 7:00 p.m.
Sandra L. McArtor, 70, of Wahoo, NE, passed away on Monday, April 1, 2019 at Bryan West Medical Center in Lincoln, NE. She was born March 23, 1949 in Omaha, NE to Howard McArtor and Edith (Barrett) Thorsen. Sandy loved spending time with her family, playing BINGO and she was especially proud of her grandchildren. She is survived by son, Kevin (Angela) McArtor of Gretna; grandchildren, Maya, Keegan, Kyan and Ava; siblings, Barb (Bob) Zara of Wahoo, Gloria Swahn of Wahoo, Mary (Mike) Miller of Wahoo, Pat (Mike) Wood of Wahoo, Ron (Carleen) McArtor of Fort Walton Beach, FL, Cathy (Gary) Garner of Valparaiso, and Tina McArtor of Omaha, NE. Several nieces and nephews. She was preceded in death by her parents, Howard (Vi) McArtor and Edith (Olav) Thorsen; brother-in-law, Cork Swahn; sister-in-law, Debbie McArtor, nephews Jeffrey Fittro, Cody Guarin, Michael Jaskulski. I am so sorry for your families loss. Sandy was a good person may she rest in peace. I will keep your family in my thoughts and prayers.